Can You Plant A New Tree In The Same Spot As An Old Tree? Have you removed a tree from your yard, and now the spot it grew in is feeling a little empty? Many homeowners feel as though they should plant a new tree in the spot where the old one once stood. It feels like a good idea to plant a new tree and fill that space, but is it a good idea? Here’s everything you need to know. You’ve had an Orlando tree service company come and take a tree down, leaving the spot open and bare. It feels empty, and you think a new tree should go in the spot. Maybe you think that the loss of the tree has created a gap, and that it should be filled back up. Maybe the tree that was removed had sentimental value, and you’d feel better with another tree in that gap. Whatever the reason, you want to know if you can put a new tree there. Overall, it’s recommended that you don’t plant a new tree in the exact same spot where another one once stood. There are several reasons for this. Firstly, the tree that was there was probably there for years. It’s stripped the soil bare of any nutrients, nutrients that a new tree needs if it’s going to grow successfully on the same spot. It’s also worth considering that when the old tree was taken down, there was a lot of sawdust and other debris that was created by the felling. The tree service you used to fell the tree should have taken the debris away, but the fact remains there will be plenty of this dust in the soil. Because of this, the soil makeup may have changed drastically. Because of this, a tree may not be able to flourish in the same spot as the old one. Finally, if the old tree’s roots are still there, the new tree may not have enough room to grow. You’ll need to be certain that all the roots have been removed before you plant a new tree. Planting a new tree in the same spot as the old one isn’t always a bad idea. A new tree will often do better in a new spot, but if you want or need to plant the tree in the old one’s place, there are ways of doing it. You’ll need to consider why the old tree was taken down. If it was infected, you’ll need to know what kind of pathogen had caused the infection. When picking out a new tree, you’ll need to find a tree that is immune to that pathogen. That will ensure that your new tree should thrive. Give the spot you want to plant some time. If there’s anything of the old tree there, it should decompose as it’s no longer attached to the living tree. It’s best to give the area a year, to allow the old tree to decompose and make way for the new one. Finally, you want to make that area feel like new for your new tree. Clear the area thoroughly. Remove any leftover sawdust, chop out old roots and add new top soil, and even some compost to add back some nutrients. 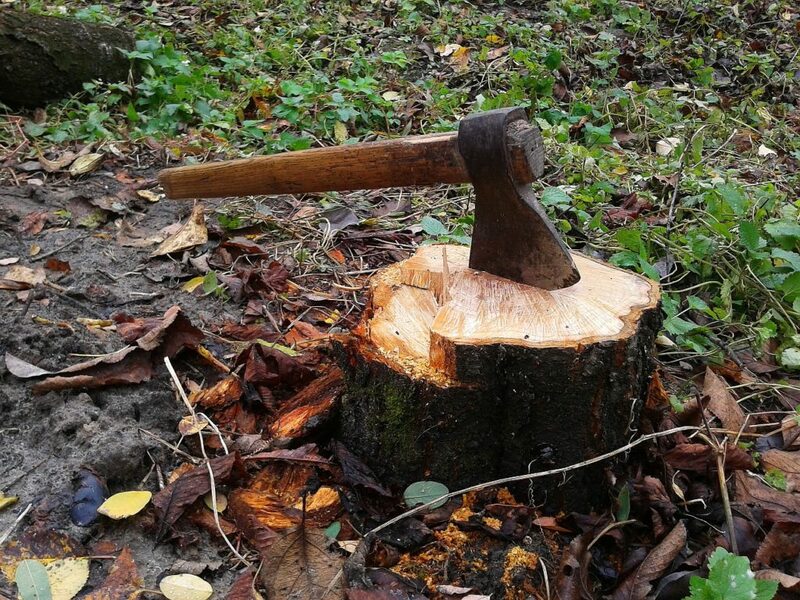 If your Orlando tree service has removed the tree but kept the stump in the place, then you shouldn’t have as many problems planting a new tree. You won’t be able to plant it in directly the same spot, obviously, but you can plant very nearby. As long as the new tree is around six to eight feet away from the stump, it should flourish in its new home. Of course, it’ll never fill exactly the same spot where the old tree once stood, but you’ll be able to enjoy a new tree in a very similar position. As you can see, it’s not always advisable to plant a new tree in the same spot as an old one. There are several reasons why the new tree may not do well there. If you really want it there though, you’ll be able to make it happen with a little work.